Place quail breast on a chopping board, sprinkle salt and pepper. Put on top of each quail breast, a basil leave and a red bell pepper strip. Roll up and wrap each breast with a bacon strip. Secure with toothpicks. Heat one tablespoon of vegetable oil in a skillet at medium-high heat, cook quail rolls on all sides and until the bacon is browned. Be careful with the toothpicks, and remove them when quail rolls are done. 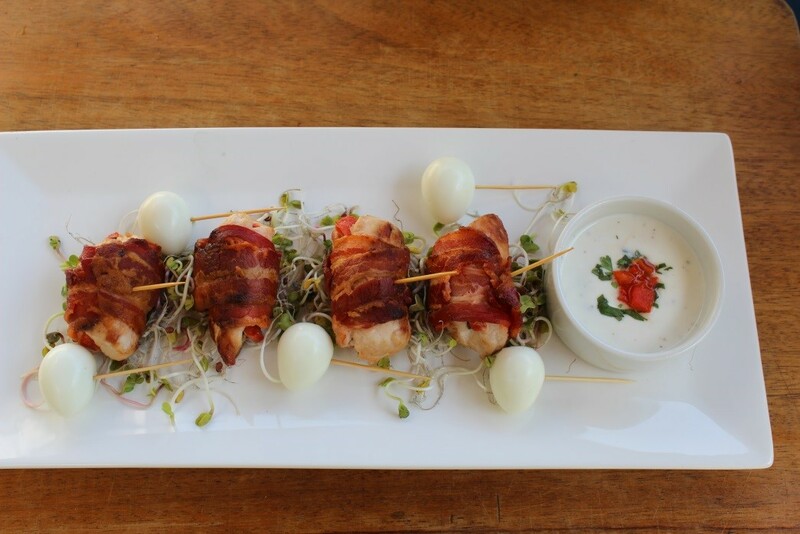 Serve as an appetizer with ranch sauce dip and boil quail eggs, if desired.